NORWALK, Conn. -- Celina Villanueva likes to shop for bargains without sacrificing quality. With a growing family of five to feed she is extremely cost-conscious. “I look for the best product at the best price…I am loyal to products that I like and I recommend those that I like to my friends,“ said the Peruvian native while shopping at a warehouse bulk store in Norwalk, Connecticut. She is one of 28 million Hispanic females living in the U.S. who are gaining in consumer power and influence. According to new data, Latinas like Villanueva are in the driver’s seat of U.S. growth. The report, released Tuesday by Nielsen, details the ascent of this demographic powerhouse, which grew 37 percent between 2005-20015. “Latina 2.0: Fiscally Conscious, Culturally Influential & Familia Forward,” reveals how younger Hispanic women and their buying power are outpacing the rest of the nation. This new more educated Hispanic consumer, with an average age of 31, is charting the path with her purchasing choices, brand loyalty and digital acumen. This fifth report on Hispanics outlines how Latinas are price-conscious shoppers, prefer bulk wholesale stores and are health conscious, fashion-forward and digitally savvy. Smartphones are the tech device of choice for the socially connected, younger Latina 2.0. She is 15 times more likely than her non-Hispanic counterparts to have a smartphone, and 35 percent more likely to download or purchase music from online services, and significantly more likely than non-Hispanic white women to use social networking sites such as YouTube, Instagram, Google, Snapchat, and Twitter. “On average, 42 percent of Latinas are spending nearly four hours a day on social media”, said De Armas, adding that Latinas rely on their smartphones “for connectivity and seeking information." "She is not only an influencer but also influenced by what she sees on social media,” adds the first generation Cuban-American executive. In addition, the data highlights how Latinas are postponing marriage for a little bit longer in order to pursue educational and career goals. Between 2013 and 2015, 74 percent of Hispanic females enrolled in college immediately after completing high school. “As we are moving from a manufacturing based economy to a knowledge based economy, the Latina is really well poised and taking advantage of that by obtaining an education and then putting herself into the workforce,” explains De Armas. Erika Cisneros reflects the new more driven Latina in the workforce. “I believe that we want to strive to better ourselves and show our parents that what they couldn’t accomplish, we might be able to go further," Cisneros said. 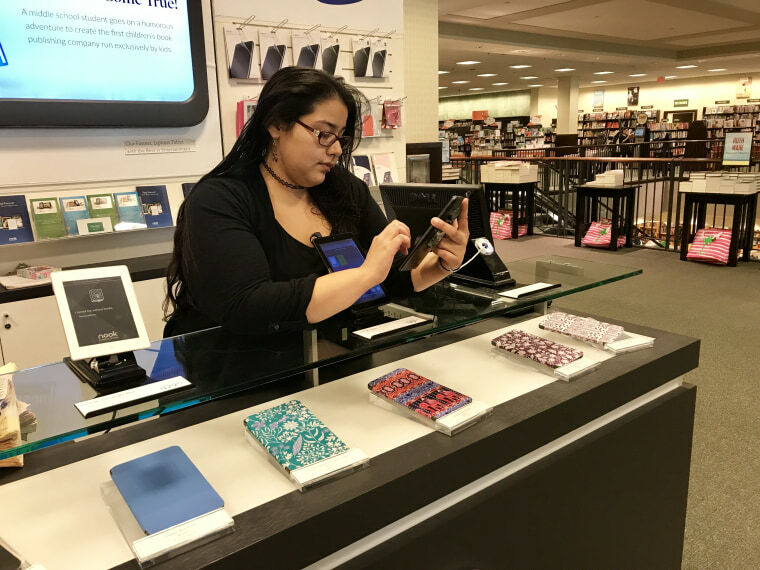 The 29-year-old worked her way up from the children’s section at the Barnes & Noble in Stamford, Connecticut and is now their Digital Sales Lead. These attitudes are creating a boom in Latina entrepreneurship. “Latinas by nature are entrepreneurs and risk takers,” said Fanny Miller, president and organizer of Celebrando Latinas, the largest Hispanic conference nationwide held annually in San Diego, California. According to the latest Census data, Hispanic female majority-owned firms grew in number by more than 682,000, or 87 percent, during the last five-year period. “We are not only changing the face, but also the economic future of America,” explained Latina businesswoman Nuria Santamaria Wolfe, a daughter of Salvadoran war refugees who emigrated to the U.S. in the 1980’s. She is the co-founder and CEO of “Canticos”, an L.A. based start-up that sells bilingual books and children’s products. Nevertheless, De Armas said that Latinas remain true to their roots, with 73 percent agreeing that their cultural heritage is an important part of who they are, while 75 percent enjoy maintaining their traditions. To reach these Latina customers, businesses need to understand their need for advice and tech solutions, as well as offer products relevant to their life stage, Nielsen said in its report. Latinas are clearly finding their own voice in the consumer market. Alexandra Campbell Howe is a freelance journalist who has covered national and international Latino issues as a correspondent for NBC Latino, Univision, Telemundo and CNN en Español. Born in Bogotá, Colombia, and raised all over Latin America, she studied Broadcasting in Washington, DC., and currently resides in the greater NY metropolitan area.